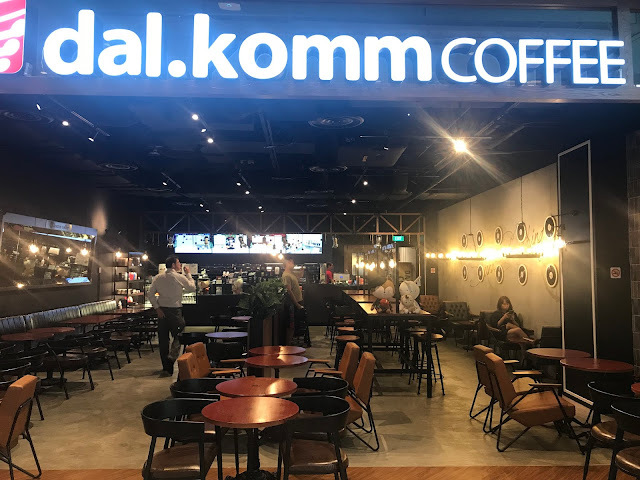 Dal.Komm Coffee is a Korean coffee chain that caught my attention while I was watching the Korean drama “Descendants of The Sun” and then “Goblin”. 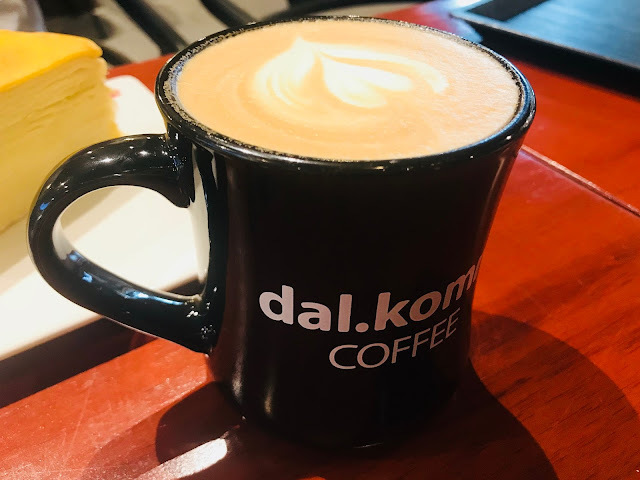 Dal.Komm means “sweet” in Korean, but there is actually another meaning behind the words. 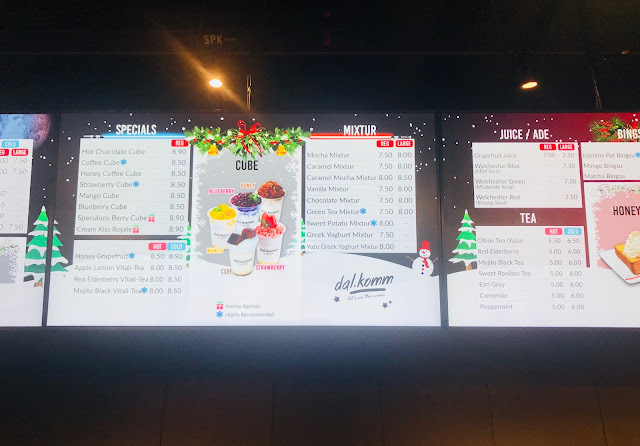 “Dal” stands for the founding company Danal while the German word “komm” means “come”. 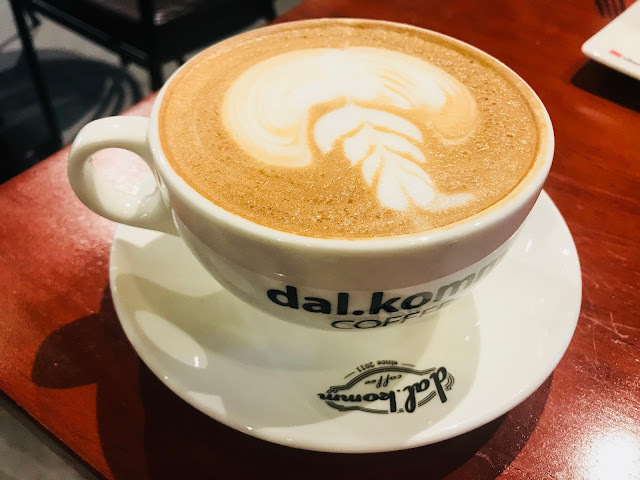 Hence, Dal.Komm can also be interpreted as “come to Danal”. Decked out in brown earthern hues and wooden tables, the warm orange light gives the cafe a cosy feel. 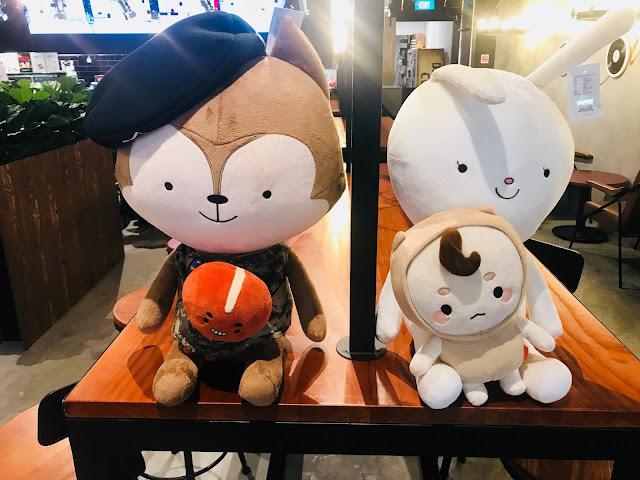 Fans of Korean dramas “Descendants of The Sun” and “Goblin” should be familiar with these stuffed toys. They are Neukdun and Hayang from “Descendants of The Sun” and Boglegl (a.k.a Mr. Buckwheat) and Poipot from “Goblin”. There is something for everyone at Dal. 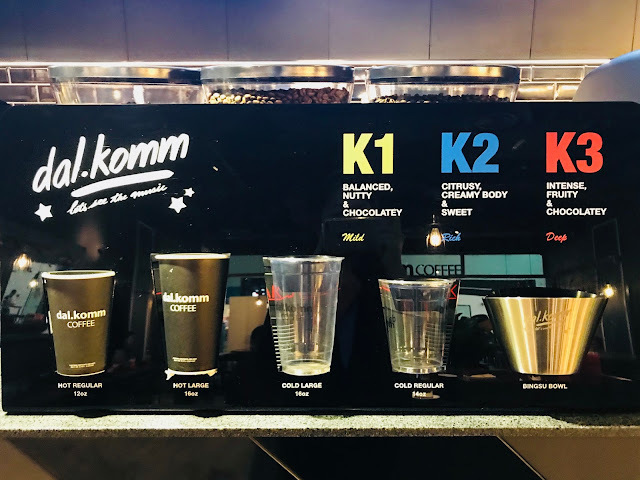 Komm Coffee, for coffee drinkers and non-coffee drinkers alike. 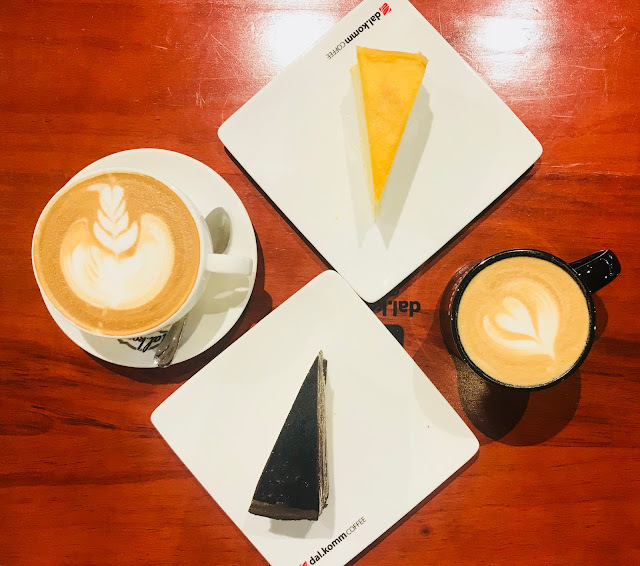 For coffee drinkers, there are the usual Americano and Mocha to the special Rose Latte and Spiced Orange Latte. 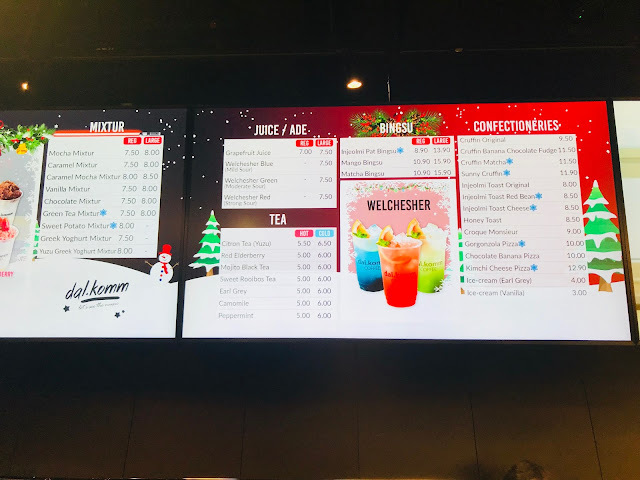 For those who do not drink coffee, there are ice-blended drinks called Mixtur, Juice/Ade and a small assortment of Tea. 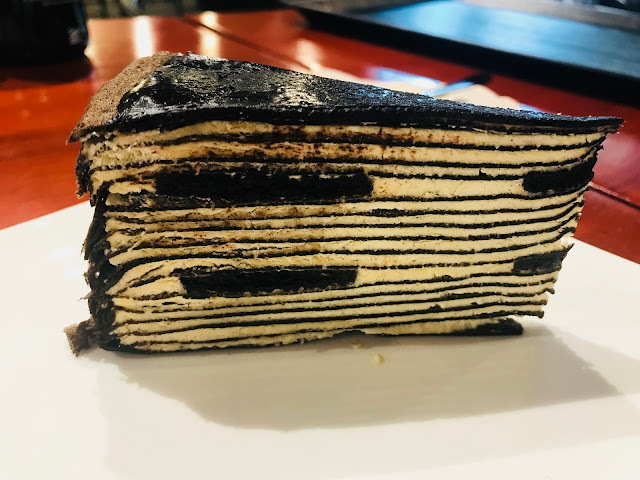 There are 9 choices of cake to choose from to go with your drink: Lemon Meringue Tart, Cotton Cheesecake, Oreo Mille Crepe, Oreo Cheesecake, Rainbow Cake, Nutella Tart, Chocolate Truffle Cake, Vanilla Mille Crepe and Pain Au Chocolat. 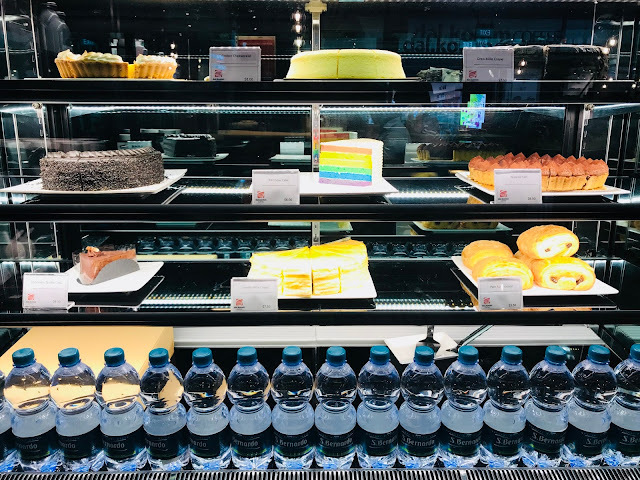 There are 6 choices of cakes to go with your drink: Lemon Meringue Tart [$8], Cotton Cheesecake [$8], Oreo Mille Crepe [$7.50], Oreo Cheesecake [$8], Rainbow Cake [$8], Nutella Tart [$8], Chocolate Truffle Cake [$8], Vanilla Mille Crepe [$7.50] and Pain Au Chocolat [$3.50]. Besides cakes, Dal. 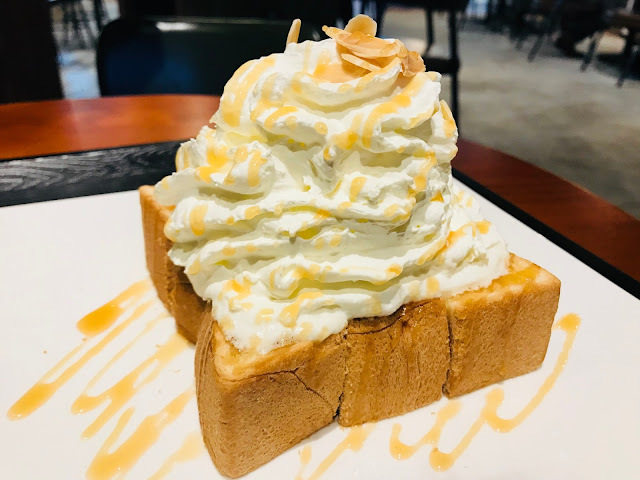 Komm also offers confectioneries such as this Honey Toast [$8.50]. 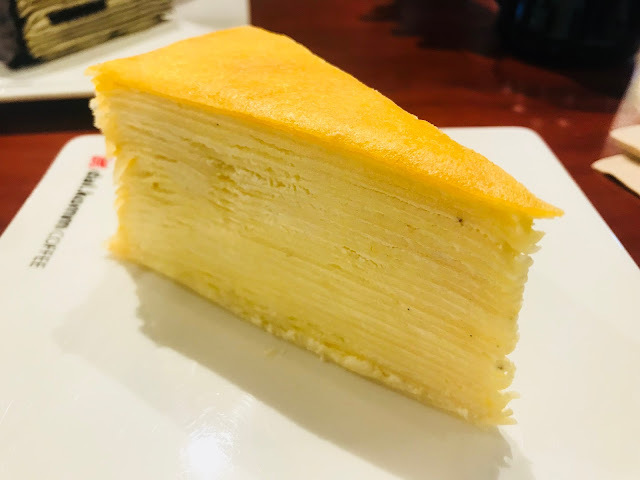 A piece of thick toast is lightly toasted and spread with honey, topped with a generous amount of whipped cream and almond flakes. The toast is already cut into cubes so you won’t have to make a mess of cutting it yourself. 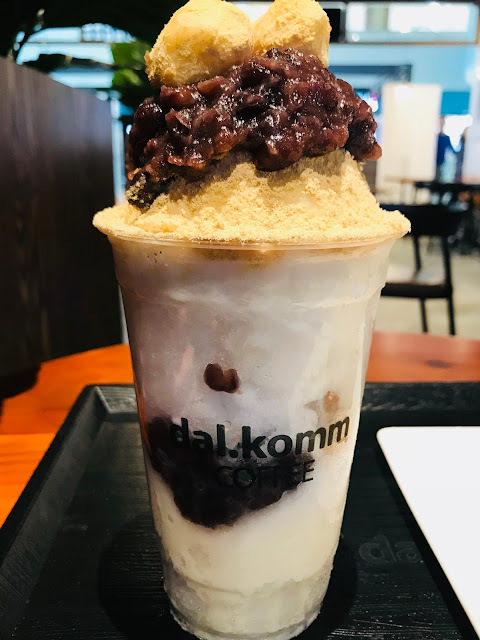 Bingsu is a popular Korean shaved ice dessert with sweet toppings. 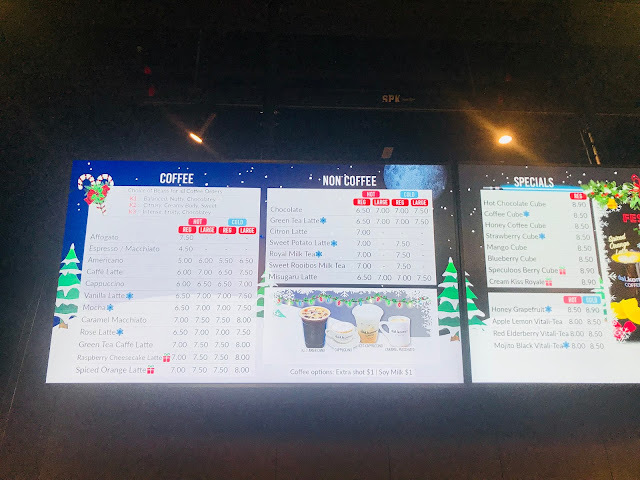 Injeolmi Pat Bingsu [$8.90 for Regular, $13.90 for Large] is the most iconic bingsu with red beans, multi-grain powder and injeolmi (Korean rice cake).